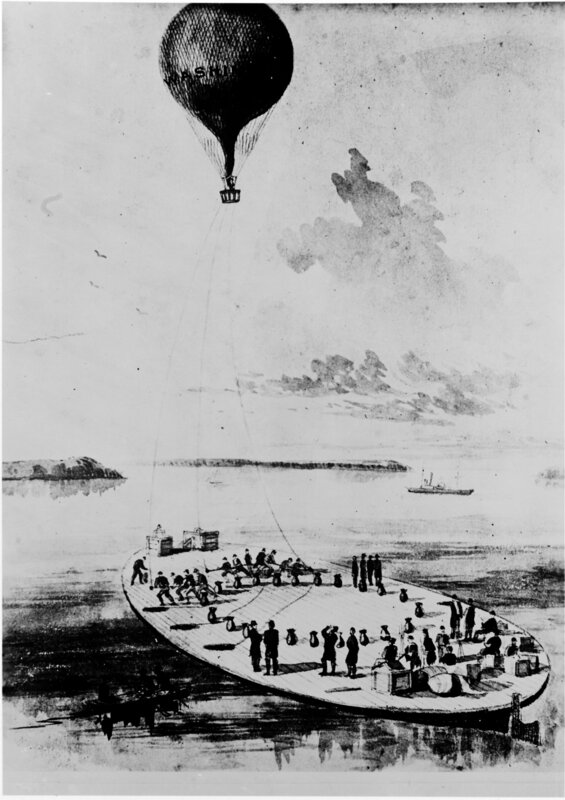 Coeur de Lion sailed 2 October 1861 for Washington, D.C. Captured schooner Emily Murray, 9 February 1863, off Machodoc Creek, VA. 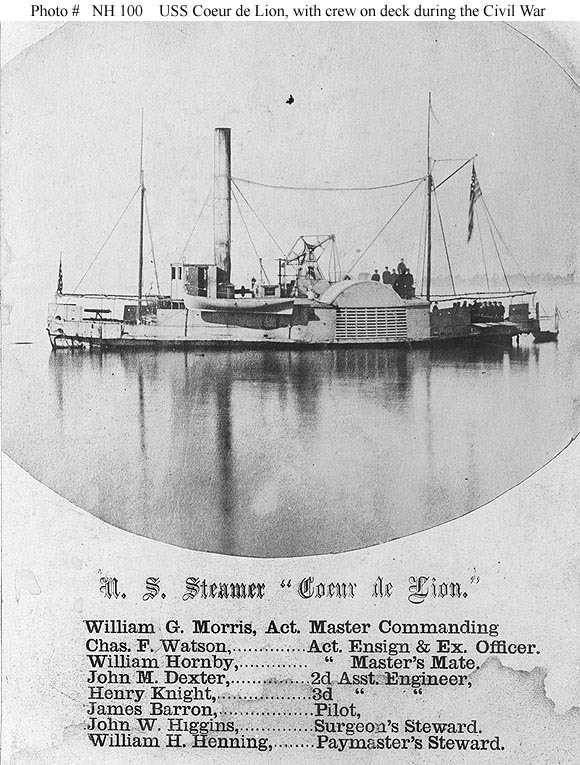 Depth of Hold 4' 10"
127k USS Coeur de Lion with her crew on deck and after gun manned, during the Civil War. Her officers' names are printed below the image on this Civil War era reproduction. 413k The barge George Washington Parke Custis was towed, 10 November 1861 by USS Coeur de Lion from the Washington Navy Yard down the Potomac River to a place off Mattawomen Creek where the balloon ascended over the Potomac River, making a reconnaissance of the blockade near Budd's Ferry below Mount Vernon. Drawing in Lowe Collection at National Archives.